Which service level should I opt for? We have 4 options options. Managed plus, managed, rent collection and tenant find. You can choose the service that best suits your needs and requirements. Yes we are. 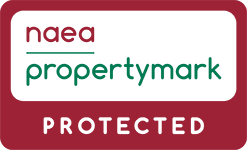 Our staff are qualified by the NAEA, NFOPP or ARLA so you may rest assured that your home is in the safest pair of hands. If your property is leasehold, as opposed to freehold, then you effectively have the right to occupy a portion of a building for the given duration of the lease, for example 65, 99 or 999 years. This form or ownership typically applies to buildings that comprise more than one unit, such as blocks of flats, though there are increasingly more freehold flats and apartments. If you are a leaseholder you should check the terms of your lease documentation and obtain the necessary written consent from the Freeholder or the Management Company for the building before letting your property. I have a mortgage. Do I need to inform my Lender? If your property is mortgaged or you have a loan secured on the property then you must obtain written consent from your lender prior to the tenancy commencing. Your lender may also require additional clauses in the tenancy agreement of which you must inform us and they will often charge a fee for giving their consent for the letting to take place. It is the responsibility of the tenant or tenants to pay council tax due on a property. 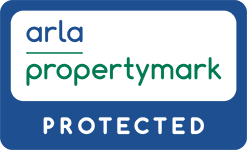 As landlord you are also responsible for all standing charges whilst the property is not subject to a tenancy agreement. i.e: when the property is vacant. Who is responsible for the building and structural condition? As landlord you are responsible to keep in repair the structure and exterior of the property and keep in repair and proper working order the installations in the property for the supply of water, gas, electricity, sanitation and for space and water heating. Repairs and maintenance are at the landlord’s expense unless misuse can be established. Also, interior decorations should be in good clean condition and preferably plain, light and neutral in presentation. The majority of properties on the letting market are ‘unfurnished’. A good working definition of this term is that it will usually include carpeting or flooring, curtains / blinds and a cooker. We recommend that you leave only minimum furnishings and that these should be of reasonable quality. Gardens should be left neat, tidy and rubbish free, with any lawns cut. Tenants are required to maintain the gardens to a reasonable standard, provided they are left the necessary tools. However, if you have very high standards for your garden or if it is particularly large then you may wish for us to arrange visits by a regular gardener. At the commencement of the tenancy the property must be in a thoroughly clean condition and at the end of each tenancy it is the responsibility of the tenant to leave the property in a similar condition. You should provide one set of keys for each tenant. Where we are managing your property we will arrange to have duplicates cut as required, we will also require a set.